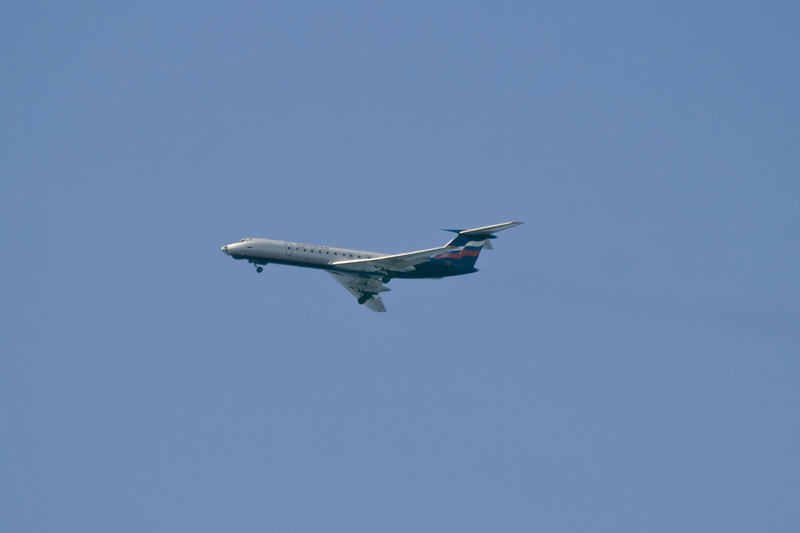 28 April 2009 - an important event happened in history of museum - from the airport of Sheremetyevo to Riga took off his last flight Tu-134А-3. 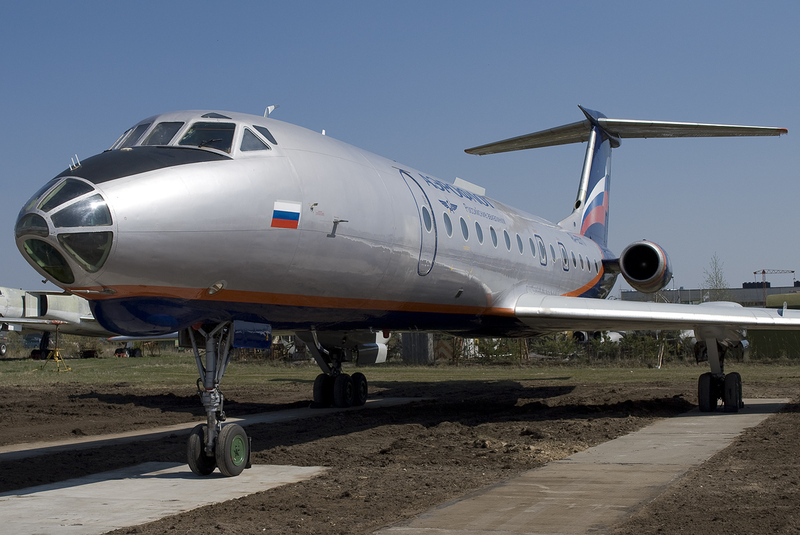 “Aeroflot – Russian airlines” make a present to Riga’s Club of Young Pilots the name of F.A.Candera for the use as a museum-piece and train aid for preparation of young pilots. Giving the contribution of deep respect the veterans of civil aviation, to resident in Latvia, and for strengthening of friendship and mutual understanding between the Russian and latvian people, rule “Aeroflot – Russian airlines” were accepted by a decision to pass an air ship Tu-134А-3 RA-65717 in the Riga museum of aviation. The employees of aviation-technical complex of Aeroflot jointly with developers and testpilots conducted work as evaluated by the technical state of air ship, to the receipt of permission and preparation of airplane to flight to en-route Moscow is Riga by testpilots of the State research institute of civil aviation. A commander of crew is Hero of Russia - Ruben Esayan. Last 19977th landing, photo is taken above Bolderay – one of Riga district. Presently refuse of basic hydraulics of issue of undercarriage - deport not fully. After a couple of seconds a pilot involves the emergency system, and undercarriages will be finished pressing out. Tu-134А-3 RA-65717 (cn 63657). One of last serial That-134А, 1981 year of issue. Worked in Moscow governmental detachment, further from January, 27, 1984 on international lines in CUMVS(Aeroflot-International), from the beginning of 90th in the fleet of Aeroflot-Russia. Last regular flight of December, 31 2007 to en-route Ufa – Sheremet'evo. It was further tried to sell an airplane, but because of diseconomy of this type, it was not succeeded. Written-off from the Russian register 22Dec2008. At that moment a raid made - 40612 hours and 19976 landings. 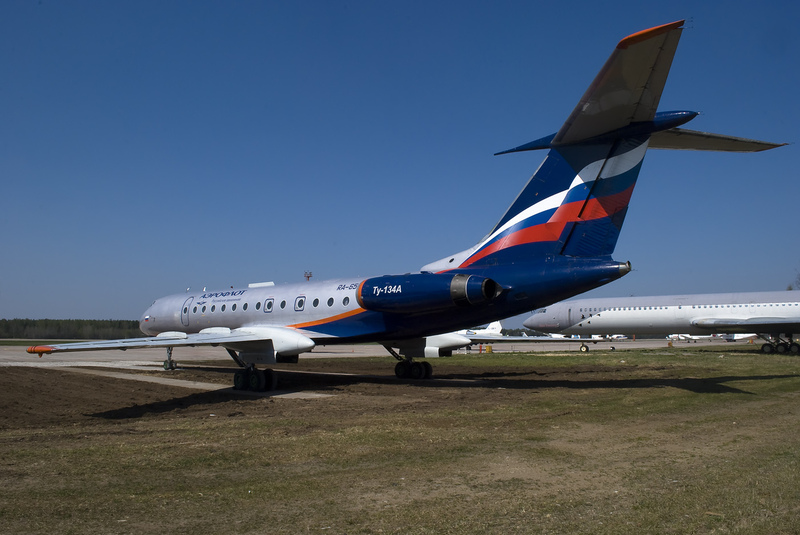 More than year stood, and on 28Apr2009 accomplished the last flight from Sheremetyevo to Riga(SVO-RIX).